Free shipping. Buy direct from HP. 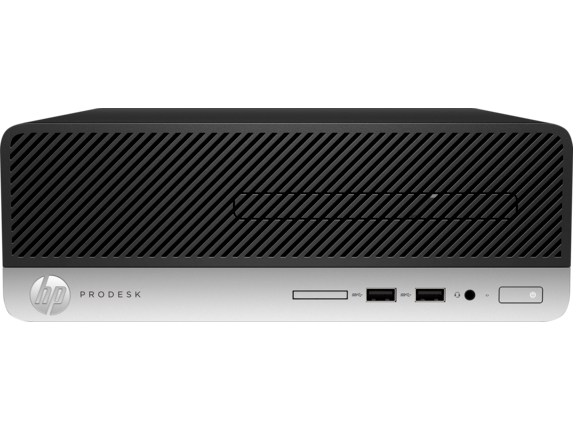 See customer reviews and comparisons for the HP ProDesk 400 G5 Small Form Factor PC. Upgrades and savings on select products. Power through your day with high-performance 8th Gen Intel® Core™ processors  unleashed by optional Intel® Optane™ memory  and discrete graphics . The full value of your investment comes with expansion that extends the life of your PC. 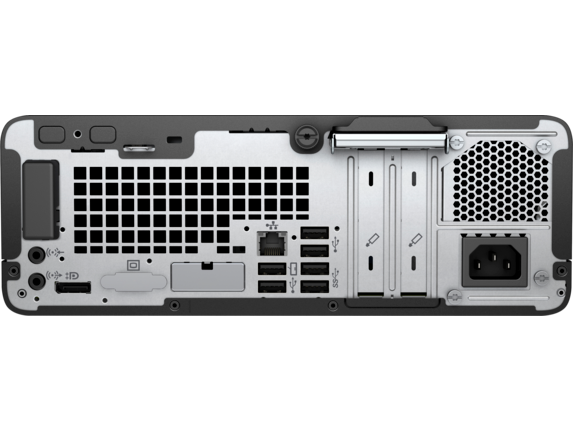 The HP ProDesk 400 SFF has two bays and two half-height slots, and optional ports to connect up to three HP displays . 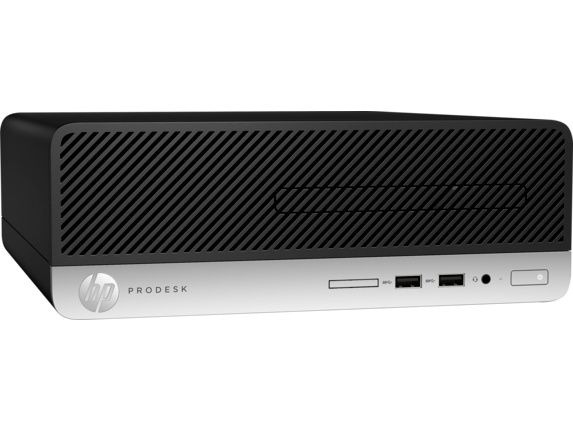 With 8 total USB ports and optional Bluetooth®  connectivity, the HP ProDesk 400 SFF becomes a hub for all your devices in the office. 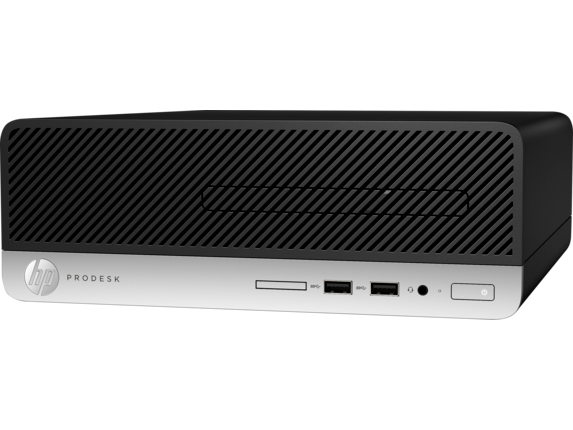 The reliable HP ProDesk 400 SFF experienced 120,000 hours of the HP Total Test Process  and now has an optional dust filter  to help extend the life of your PC by reducing airborne particulate intake in the most demanding work environments. 1 HP Client Security Manager Gen4 requires Windows and Intel® 7th Gen processors. 2 HP BIOSphere Gen4 requires Intel® or AMD 8th Gen processors. Features may vary depending on the platform and configurations. 3 HP Manageability Integration Kit can be downloaded from http://www.hp.com/go/clientmanagement. 4 HP Sure Click is available on most HP PCs and supports Microsoft® Internet Explorer and Chromium™. Supported attachments include Microsoft Office (Word, Excel, PowerPoint) and PDF files in read only mode, when Microsoft Office or Adobe Acrobat are installed. 5 Not all features are available in all editions or versions of Windows. Systems may require upgraded and/or separately purchased hardware, drivers, software or BIOS update to take full advantage of Windows functionality. Windows 10 is automatically updated, which is always enabled. ISP fees may apply and additional requirements may apply over time for updates. See http://www.windows.com. 6 Multi-Core is designed to improve performance of certain software products. Not all customers or software applications will necessarily benefit from use of this technology. Performance and clock frequency will vary depending on application workload and your hardware and software configurations. Intel’s numbering branding and/or naming is not a measurement of higher performance. 7 Intel® Optane™ memory system acceleration does not replace or increase the DRAM in your system and requires configuration with an optional Intel® Core™ i(5 or 7)+ processor. 8 Sold separately or as an optional feature. 9 Support for up to three video outputs via two standard video connectors and an optional third video port connector which provides the following choices: DisplayPort™ 1.2, HDMI 2.0, VGA, or USB Type-C™ with Display Output. 10 HP Total Test Process testing is not a guarantee of future performance under these test conditions. Accidental damage requires an optional HP Accidental Damage Protection Care Pack.